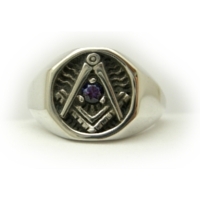 Here is our Classic Signet ring cast in Sterling Silver, with the gemstone or centerpiece of your choice. I'm having a hard time finding the right words to describe this ring. Bro. 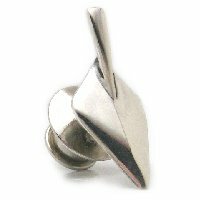 Horn's workmanship and passion is evident in this beautiful ring. It took me a while, with Drew's help, to find the right combination of metal and stone, but it was well worth the wait. 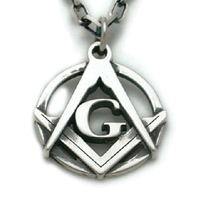 The silver ring glows and its simplicity and straight forward design allow one to focus on the Square and Compasses. 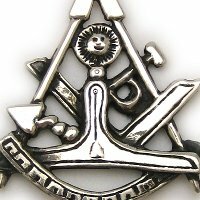 The ring has special meaning to me, as I was raised to Master Mason exactly one month ago and the ring will be with me throughout my journey as a Freemason. 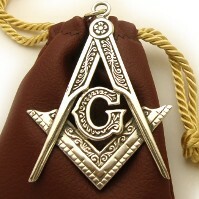 Drew is a gifted craftsman and dedicated Mason. This was the first piece of jewelry I purchased from Brother Drew and it is a beautiful ring. 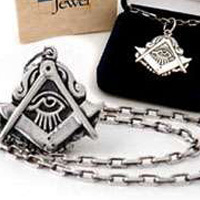 I got mine with a Hand-Carved All-Seeing Eye which is beautiful in its detail. Brother Drew was a pleasure to work with throughout the process. He was quite patient with my multitude of questions and very obliging in considering any modifications I suggested (I chose to leave it as is). 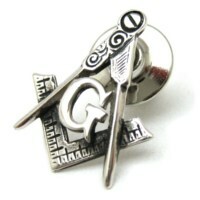 The Classic Signet is my 5th piece of jewelry from Bro. Drew and it is spectacular. 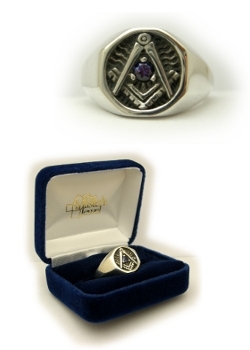 The Classic Signet is exactly that: a Classic Masonic ring. It’s a bold, straightforward design that feels strong and solid. It’s got just the right combination of classic styling with a unique touch of artistry that stands out. It’s a quality ring all the way around. I have the opal in my ring and it looks great! I think any of his stone options would look amazing in this ring. (I really like the “G” option as well so it was a tough choice. Either way, you can’t go wrong). Working with Drew is always a pleasure and I can say without hesitation that if you are looking at one of his rings for yourself or if you’re looking to purchase as a gift; this is the right place to be and you will be very, very satisfied. Always a treat working with you Bro. Drew. Take care. 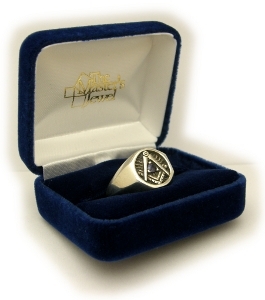 I got the classic signet ring in the mail today. It's beautiful Brothers, I LOVE this ring! The packaging was awesome, the registration card blew me away, and the catalog definitely put into perspective what the different stones look like that the Master's Jewel offers. Great product my Brothers! Brother Drew has earned me, through the exercise of his craft, as a lifelong customer. Currently 36 guest(s) and 0 member(s) online.